With the release of Apple Music, you may get a bit confused to figure out the difference between Apple Music and iTunes Match, both give you access to match iTunes tracks. Apple says that "Apple Music and iTunes Match are independent but complementary". But users may also get convoluted between them. Here this article aims to help unpick what each does and find the best choice for you. Apple Music is one app, which combines a new Music app for iPhone and iPad, a new version of iTunes for Mac and Windows. It is just what the name implies: a "single thought around music" from Apple. But it not just one simple app. it’s actually three new services: Apple Music, Apple Music Radio and Apple Music Connect. 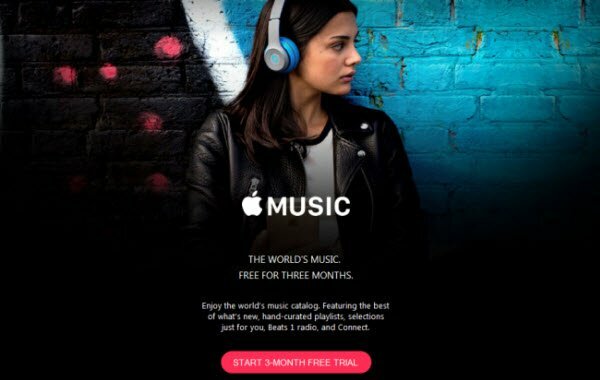 Once subscribing Apple Music with $9.99/moth (or $14.99/month, for a family plan), you are able to get access to its whole cool music features, like Apple Music streaming, Beats 1 radio, and the Connect social network. In addition, Apple Music also enables you to match your music library and uploads tracks to iCloud Music Library. There is a 100,000 track limit, which has a higher capacity compared with the iTunes Match’s 25,000 track limit. 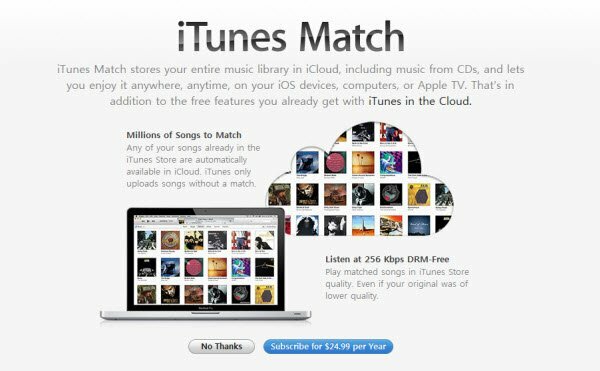 Initially only available in the United States iTunes Match debuted in November 2011. Now, it has been made available in over 100 countries. Called A match made in iCloud", iTunes Match will scans your iTunes library and determines which song can be matched with the iTunes Store catalog. For $25/year, iTunes Match will let you stream up to 25,000 songs from your iTunes Music library, even songs imported from CDs or not purchased in the iTunes Store, to your devices connected with your Apple ID. Any song you matched with the iTunes Store catalog is available to redownload for offline listening at any time on any of your devices (up to 10). Both Apple Music and iTunes Match can help take your entire iTunes library on your Mac/PC, and give you access to it via iCloud, from any iOS device. So, what’s the difference? If you care about DRM-free matched music on your other devices, yes, you need both. Otherwise, nope. If you have Apple Music, you don't need iTunes Match. How to Get DRM-free Music without iTunes Match? If you have Apple Music, but want to get DRM-free music without iTunes Match, then what to do? In this case, you can seek help from NoteBurner iTunes DRM Audio Converter (Windows | Mac), a powerful DRM removal for iTunes M4P music, Apple Music songs and audiobooks. You can convert DRM-ed music to DRM-free MP3/AAC/FLAC/WAV at fast speed with zero loss quality.